One plate of specified weight. Select a size: 2.5, 5, 10, 25, 35, 45 lb. York's lowest priced plates. 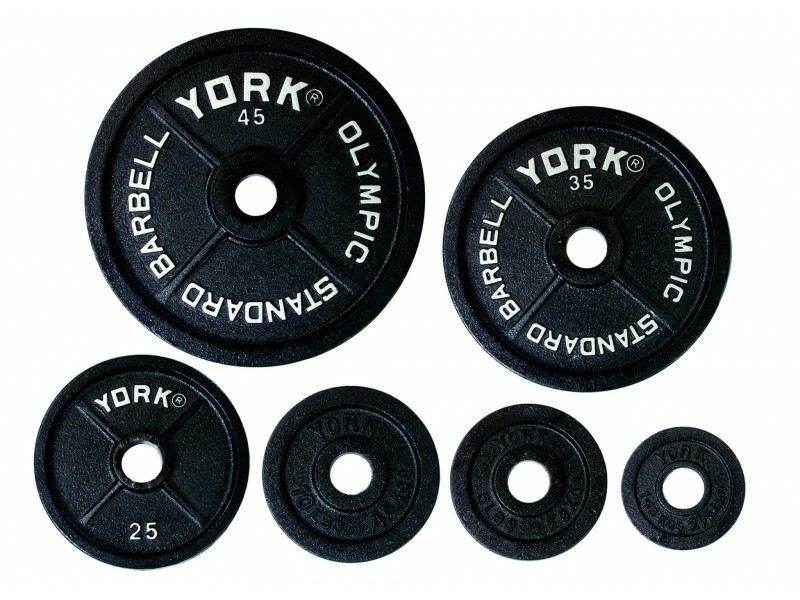 Cast iron plates with a black finish, and white raised lettering on the face of the 25, 35 and 45lb.